When Boca Raton Football Club kicks off their inaugural 2015 ASPL Season on May 2nd at Boca Raton High School Stadium, the club will be wearing the best brand apparel possible. 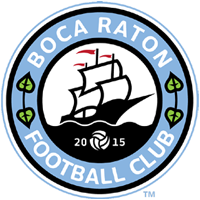 Boca Raton FC will sport two uniforms with four possible combinations; Boca Raton FC will wear an all-white uniform at home, and will play in their baby blue kit, which will have a white strip going down the right side of the jersey, during away matches during the 2015 APSL season. Both designs will be worn with white socks. Boca Raton FC jerseys will be available for pre-order from www.bocaratonfc.com beginning in May. The jerseys will also be sold during all Boca Raton FC home games.